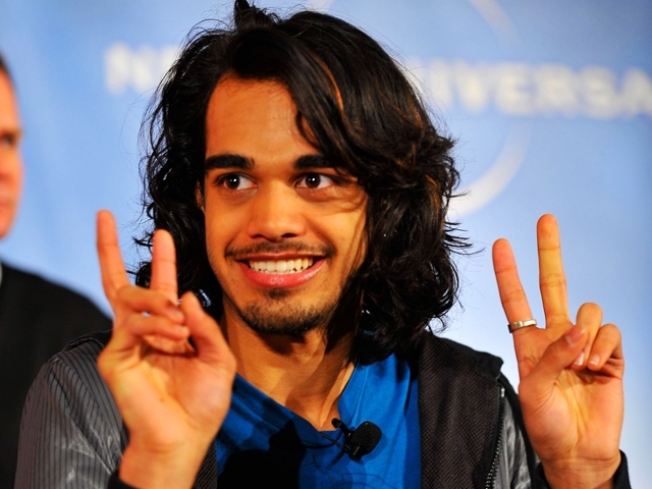 Former American Idol contestant Sanjaya Malakar is going off-Broadway. Former "American Idol" star Sanjaya Malakar is making his stage debut this month — but, no, it won't be in "Hair." The Indian-American singer, who was a finalist on Season 6 of the Fox singing competition and became known as much for his hairstyles as his voice, will be stepping into the off-Broadway musical "Freckleface Strawberry." The show is based on the popular children's book by Julianne Moore and is being staged at New World Stages on 50th Street. Malakar, son of a Bengali classical musician, joins the show on Feb. 23. VIEW THE PHOTOS: Access Top 10: Super Bowl XLV Guy Candy! The 21-year-old is currently writing and recording his own original music for a full length album "Life-Love-Music." VIEW THE PHOTOS: 'American Idol' Season 10 Promo Shots!